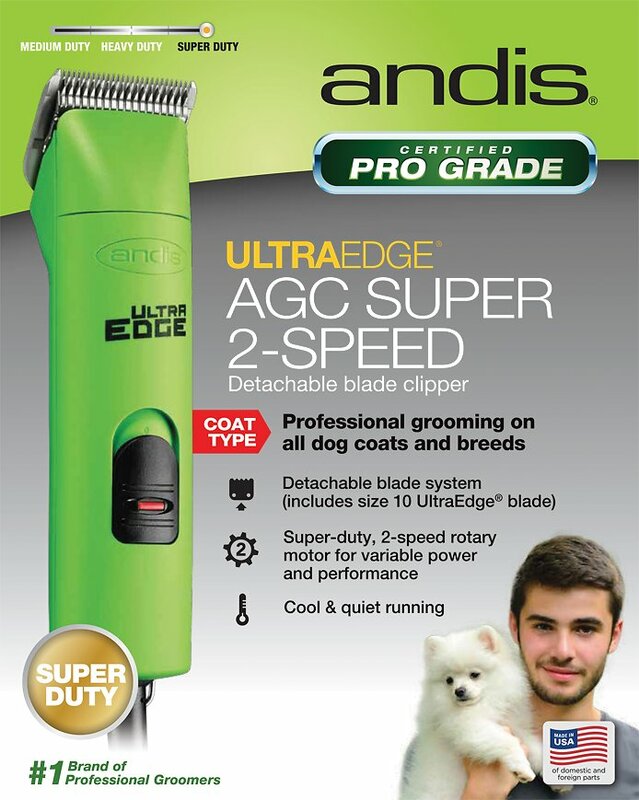 Give your precious pooch a salon-quality trim in the comfort of her own home with the Andis AGC2 UltraEdge 2-Speed Detachable Blade Pet Clipper. This premium-grade clipper is a preferred choice among pet grooming professionals and is suitable for all coat and breed types. The two-speed rotary motor delivers exceptional precision with quiet operation to limit your dog’s stress and anxiety. And thanks to the cool-running design, there’s no need for vents or fans that can get clogged with hair. A break-resistant housing provides exceptional durability, while the 14-foot cord gives you plenty of room to move around your dog freely while you work. For added convenience, a locking power switch prevents accidental shutoff. Premium-grade clipper is a preferred choice among pet grooming professionals and is suitable for all coat and breed types. Two-speed, sealed rotary motor operates at 3400 and 4400 strokes per minute for exceptional precision and a salon-quality cut. Detachable blade and removable drive cap make cleaning a breeze, while the locking blade hinge keeps the blade secure for stress-free operation. 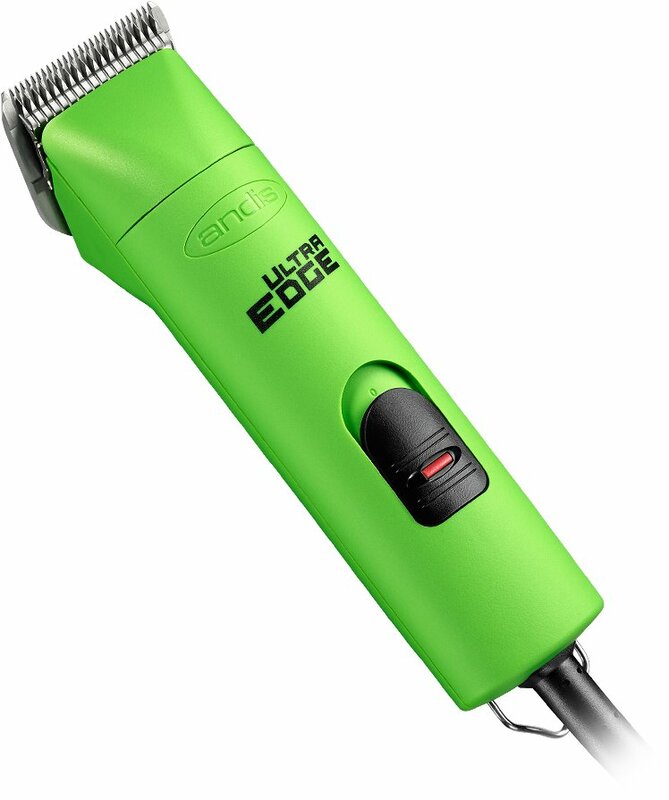 The 14-foot cord and break-resistant housing make this clipper durable and easy to use; a locking power switch prevents accidental shutoff during use. Made in the USA; works with all UltraEdge, CeramicEdge and ShowEdge blades, as well as Oster A-5 blades. Clippers, (1) #10 detachable UltraEdge blade, (1) tube of blade oil. DETECT! Regular clipping makes fleas and ticks more visible! Our policy is simple. If you're not 100% totally, completely and unconditionally satisfied for any reason whatsoever, give our friendly customer service team a call at 1-800-672-4399 and we'll take care of the rest! Chewy.com does not take title to returned items until the item arrives at our fulfillment center. At our discretion, a refund may be issued without requiring a return. In this situation, Chewy.com does not take title to the refunded item. Became hot fast and didn’t work well. I do not recommend this product at all. It has a cord that I didn’t expect for the price. I’m having to take my cat to the groomers instead because I could not do much with this item at all and I even bought an extra and better blade to trade off with because I thought it would work better but that was not so and it got so hot. 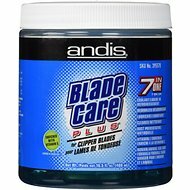 A former breeder and exhibitor of Persian cats, i’ve long used Andis clippers to shave the tummies of kitties following those periods when they’ve been shown in full coat. These are the best for the purpose—they provide close but safe shaves. Chewy has also been wonderful for getting this and every order to me with impressive speed. I am a happy customer. THESE ARE THE BEST & AT A GREAT VALUE!!! I couldn't believe how much hair it could cut in that small amount of time. The only issue I see is they get hot quick. BUT from what i've read with other clippers it happens with all of them so I also bought the Cool Care Plus. I would buy these over any other brand on the market! I just purchased this after using an Oster A5 for several years that would no longer cut. This clipper is much quieter and my dog seemed much more relaxed during the entire grooming session. It went thru my 150# Newfie mix’s very thick dense hair with less effort using an Andis UltraEdge skip tooth #7 blade. My Oster blades worked great on the clippers as well which was an added bonus. The blades did not get unusually hot as other reviews had mentioned. I would definitely recommend this clipper. I am not a professional but I love these clippers. They glide thru thick fur with ease. They do get hot so be sure to cool the blade down as needed. I have 2 cocker spanials to groom, and these clippers cut great!! Do not buy the guards you don't need them just buy different size blades the # 10 cuts too close. 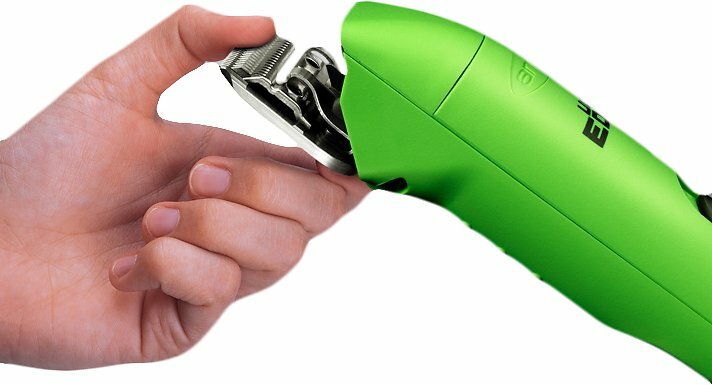 I would recommend them to anyone looking to upgrade from cheap clippers. 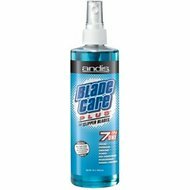 I used these once, they worked great just like my other Andis clippers I purchased in the past. I cleaned and oiled them before I stored them. When I got them out for the next grooming day, the clippers would not even cut the soft hair around my dogs face. These clippers were great for cutting our cat’s hair. They were quiet and cut very smoothly. The only reason I didn’t give them 5 stars was because we had to stop every few minutes to let the blade cool down because it was getting too warm and bothering our kitty. We are going to buy a few extra blades so we can switch them out as they get too warm. That way it will be a quicker shaving process next time.